Can I Claim Life Insurance as a Business Expense? Life insurance is one of the best investments you can make. Not only does it provide your loved ones with financial stability when you pass away, but if you own a business, it can also protect your company. If you’re a business owner, you might be wondering if your life insurance policy premiums can be deducted as a business expense. Just like most other questions related to tax deductions, it depends. The tax treatment of life insurance can be complex, and whether the premiums or the death benefit are tax deductible depend upon many factors. To find out if you can write of your policy as a business expense – and if it’s a wise idea – read on to learn more. Can You Claim All Life Insurance Premiums as a Business Expense? The answer is no. In fact if the policy benefits you, you can never write off the cost of the premium. The reason for this is that life insurance already benefits from a tax advantaged status. It has FIFO distributions for tax purposes, the death benefit is tax free, and loans are not typically taxed. Now, there are a couple of cases where it is valid to write off life insurance premiums as a business expense in general. Here is the exception. This is pretty intuitive. If you offer life insurance to your employees as a part of your benefits package, then you can write off the cost of this. This works when the cost is applied to your employees; however, you will not be permitted to deduct the premiums if you will benefit from the policy. For example, if you own a business and are either a beneficiary of the life insurance policy (whether direct or indirect), or if you are the insured person for which the policy covers, you will not be permitted to deduct your insurance as a business expense. The same is true if you are self-employed, as the Internal Revenue Service (IRS) does not view the cost of life insurance as an expense of doing business, and therefore prohibits you from deducting it as a business expense. Now, if you are an employee and are offered a group life insurance policy as a benefit, keep in mind that even this can be taxable to you. The IRS gives guidance that if you are offered more than $50,000 in death benefit, you owe taxes on the excess. 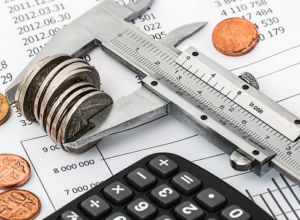 If you are trying to figure out the taxable value of additional coverage, they also offer guidance here that it must be imputed from tables distributed by the IRS. If you, the business owner, are paying for the premiums on a life insurance policies for your employees or officers, and the intent of the life insurance policy is for the benefit of the employees or officers – not your company – the premiums will be taxable to the beneficiary and upon the death of the employee or officer, the death benefits will be paid out, tax-free. However, it should be noted that taking this deduction will significantly reduce the death benefit of the policy; in some case, by up to 40 percent. In the end, this could end up defeating the purpose of the life insurance policy, as it will become a serious tax liability for the people who are listed as beneficiaries. Your employees and officers will be insured for the face value of the policy; however, beneficiaries will be required to pay fees to the IRS, in addition to any state taxes that may apply to the policy. If you are looking for a loophole that allows you to write off your own premium cost, good luck. Even if you have key man life insurance, in most cases the premiums are not tax deductible and must be paid with after tax dollars. The IRS does not generally want people reducing their personal tax liabilities through a transfer of wealth into a life insurance policy. For instance, if your child is an employee of your business and you provide life insurance coverage and pay the premiums for that coverage, but your spouse is listed a beneficiary on the policy, you will not be able to deduct the cost of the premiums for your child’s policy as a business expense. Why? – Because if your child perishes, your spouse – and therefore, you – would be eligible to receive benefits. If you pay for life insurance for your employees as a benefit, the law is very clear that it is deductible. You can read the IRS guidance on deducting group life insurance if you have questions. Many small businesses provide life insurance as a benefit for their employees, and as such, they claim it as a business expense. The IRS will view this type of policy as the cost of doing business, and therefore, you can claim deduct the premiums. In order to claim life insurance as a tax deduction, you will need to include the total amount that you pay for the premiums along with the other business expenses that you list on Schedule C of your tax form. After you have totaled all of your business-related expenses, it is determined that you have a net loss, you might be permitted to carry the losses forward so that you can reduce income for your business in the future. Should You Claim Life Insurance as a Business Expense? Probably not if the policy is for you. As discussed, in the case of premiums paid as a benefit to your employees, life insurance can be claimed as a business expense. Therefore, it can be tax deductible. For employees and officers of a business, if the premiums of a life insurance policy are paid for directly by the company, and the company is not a beneficiary (either direct or indirect), the premiums can be deducted as long as the death benefit is for the benefit of the employees. As we always advice our clients, you should always work with a qualified CPA if you have tax questions. Today, many CPA’s will work on a contract basis to answer questions, and while their time is expensive, it is well worth the cost of accurate tax advice. While you may be able to write off life insurance premiums for policies that you offer your employees and officers, it may or may not be the best idea. While it could end up saving you money, it may not benefit those that the life insurance is intended to protect. To determine if you should claim life insurance as a business expense, speak to a reputable insurance agent or accountant that specializes in business insurance. If you claim it as an expense without first finding out if it’s in all parties best interest, you could end up putting your employees – and yourself – in a sticky situation.